TJ was my first special, and truly special he was. Never campaigned, I showed him now and again as it suited us. 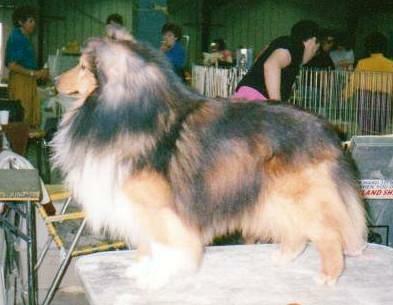 Just prior to his second birthday, first time out as a special, I was delighted when Ms. Jo Parker (Parcana Shelties) pointed to us for BB at the SASSA specialty (entry 66 Shelties). What a thrill! TJ went on to earn 3 Group 1's, and an additional 5 group placements, all breeder-handled. 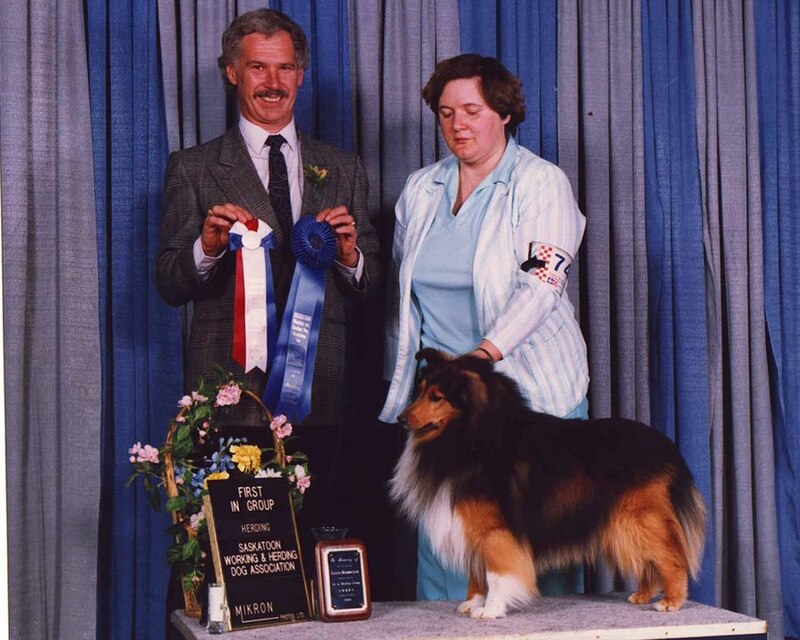 He was lovingly owned by Toni Williamson and family, who bid him farewell in 2000. TJ remains a pivotal dog in my breeding program. He is the sire of 6 breed champions. His daughter, my Ch. 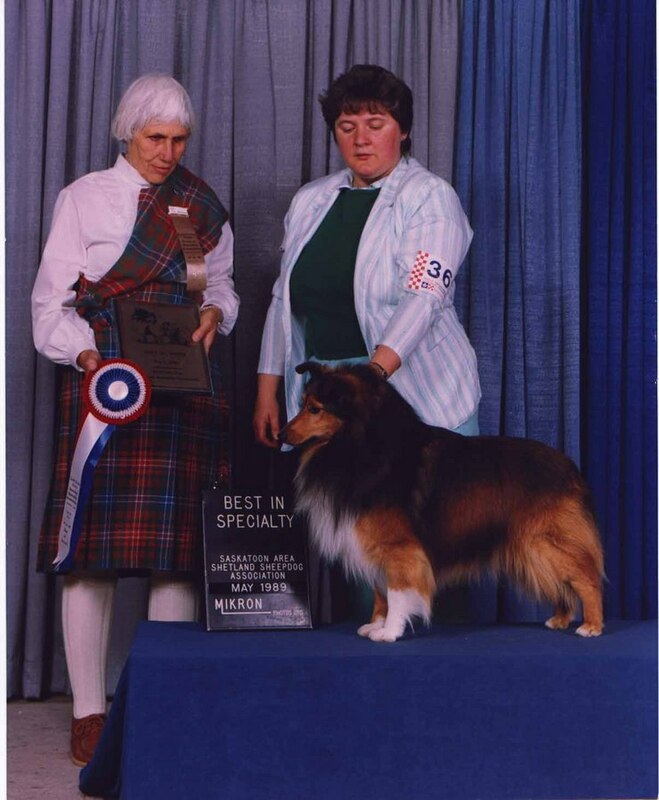 Liska Celebrity, ROMC, produced 6 breed champions, 1 obedience trial champion, plus winners in obedience, agility, and herding. Above: TJ getting ready for the show. Below: TJ's first group win.